Planning a Disney vacation with kids can be overwhelming. 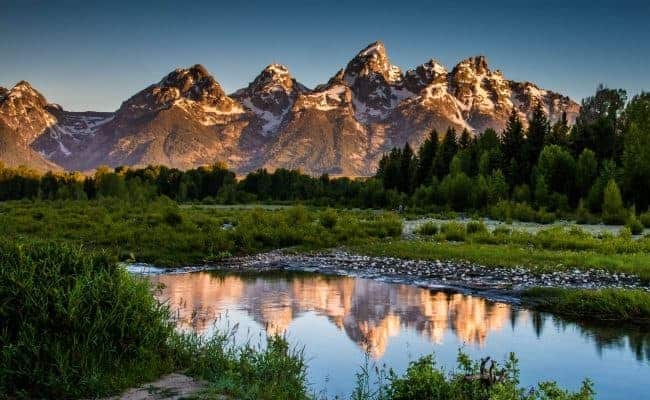 There is so much to see, do, eat…and pack! I’ve been to Disneyland hundreds of times. I’ve visited in every sort of weather, from torrential downpours to 100 degree heat. Sometimes we are at Disneyland for less than an hour… and sometimes we do 16 hour days. Our family has also visited Disney World, Disneyland Paris, and Hong Kong Disneyland. I’m pretty experienced at packing for just about any type of Disney trip. 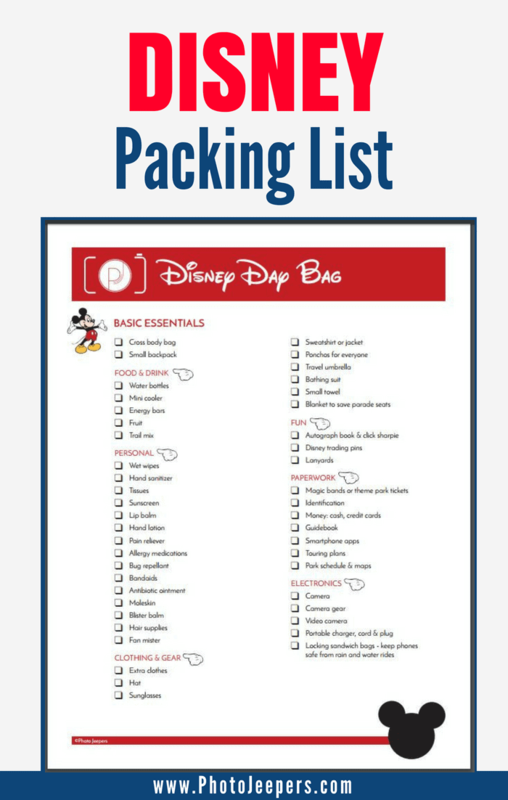 My Disney Packing List is a list of items you need to take into the park. 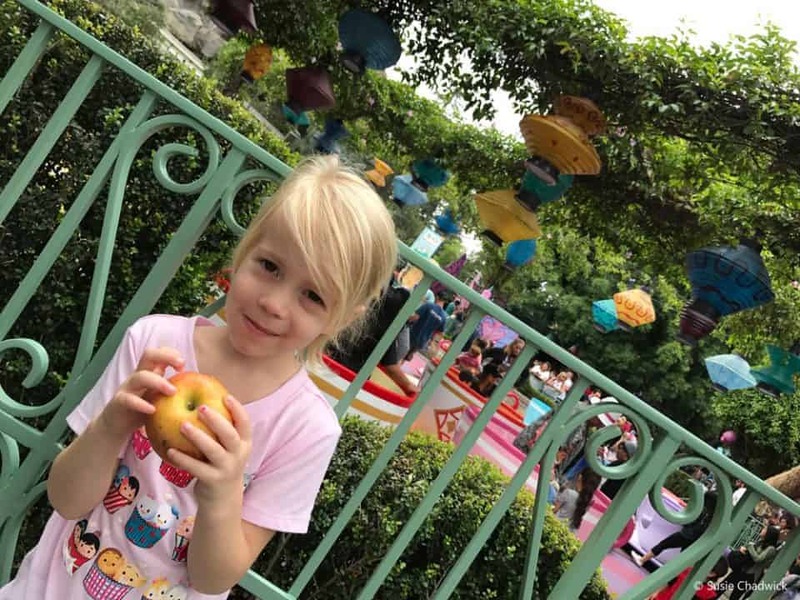 My Disney Day Bag Packing List covers all the basics of what to pack for Disney with kids so you can relax and have fun knowing you haven’t forgotten anything. 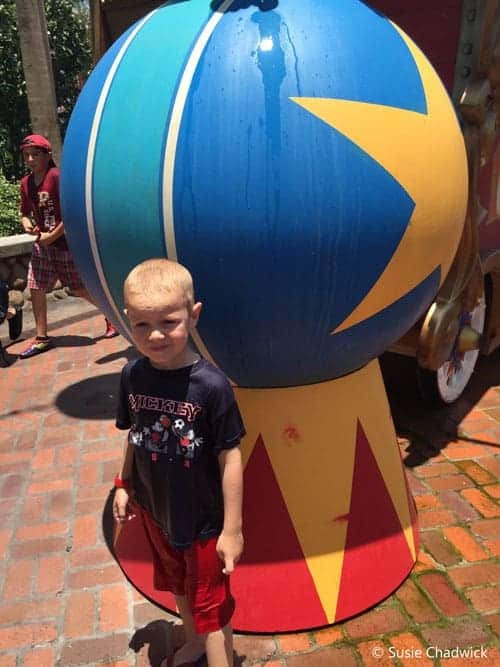 FUN IDEA: Disneyland Scavenger Hunt! We have always traveled with a lightweight stroller to use at each Disney park we’ve visited. Waiting for a stroller rental is the last way you want to spend the first half hour of your Disney day. If you have children age five or younger, you’ll want to take a stroller to the Disney park you visit. A long day at Disney will leave even my 10 year old begging for a stroller turn, so you will definitely want one with younger kids. 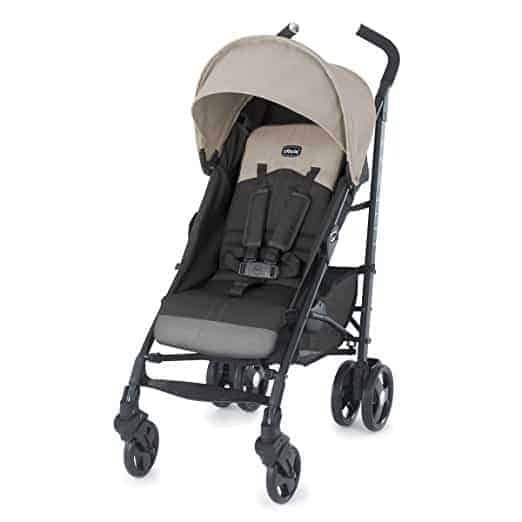 We have a sturdy lightweight stroller that’s perfect for a day at Disney or other amusement parks. 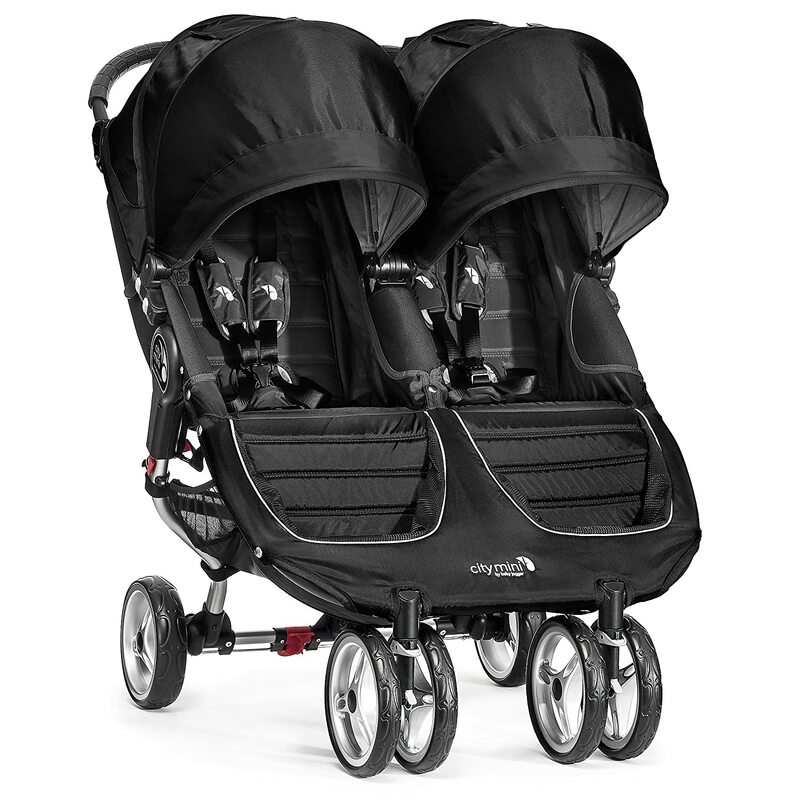 If we’re taking the kids late at night for a special event, we use a double stroller – the City Mini Double Baby Jogger – so multiple kids can sleep or rest. Disney Rule to Note: You can’t take anything that is PULLED into the park for safety reasons. Wagons that can be pushed like a stroller are allowed. A stroller is worth adding to your Disney packing list even if it’s just to hold your backpack and other stuff. If you have a baby, you must add a carrier to your packing list for Disney. 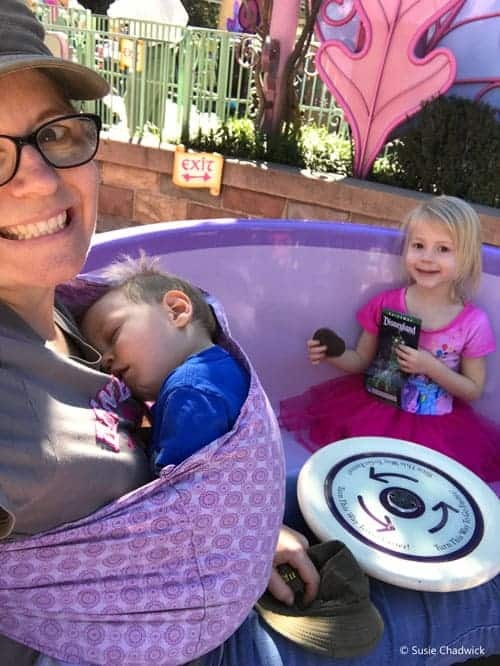 Use the carrier to contain a toddler in line where a stroller is not allowed, let baby nap on rides without disturbing, and keep your hands free for eating churros! The baby sling is also helpful if an older child wants a turn in the stroller. 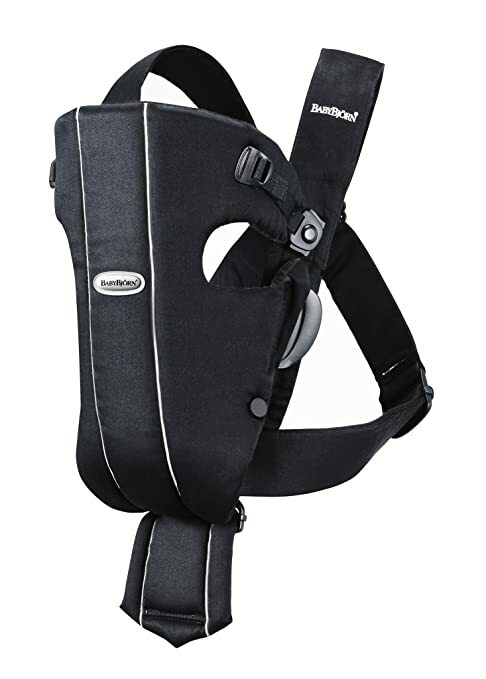 I use a Baby Bjorn for young babies, and a pouch sling for older infants and toddlers. Many rides such as Mad Tea Party, King Arthur’s Carousel, it’s a small world, and Casey Jr. Circus Train let you wear the baby while riding. Perfect for naps! Use a backpack or tote bag as your Disney Day Bag to carry the packing list items I mention below. Stuff it full and leave it on the stroller while you wait in line for rides and watch shows. This way you don’t have to haul it around. 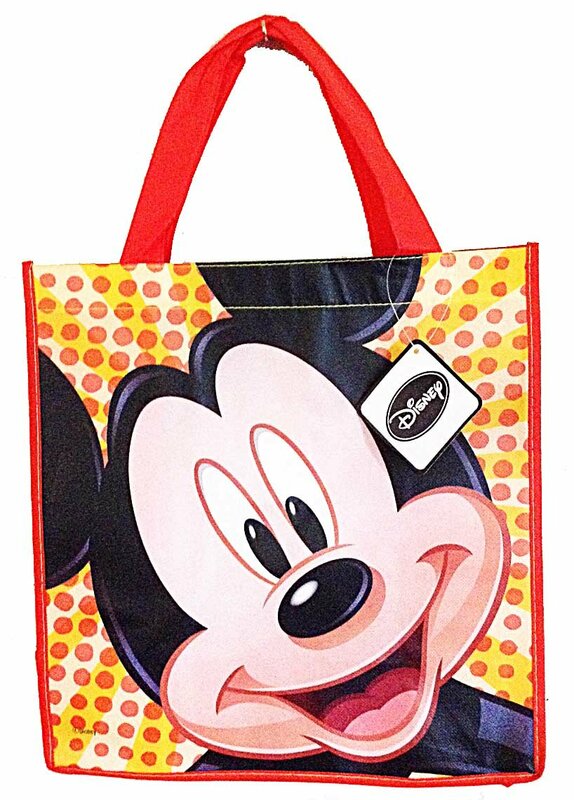 We are currently using reusable Disney character totes instead of a backpack. 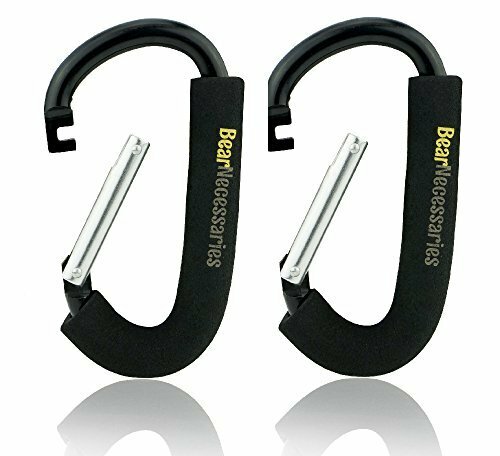 They’re fun, and easy to hook onto the stroller handles. 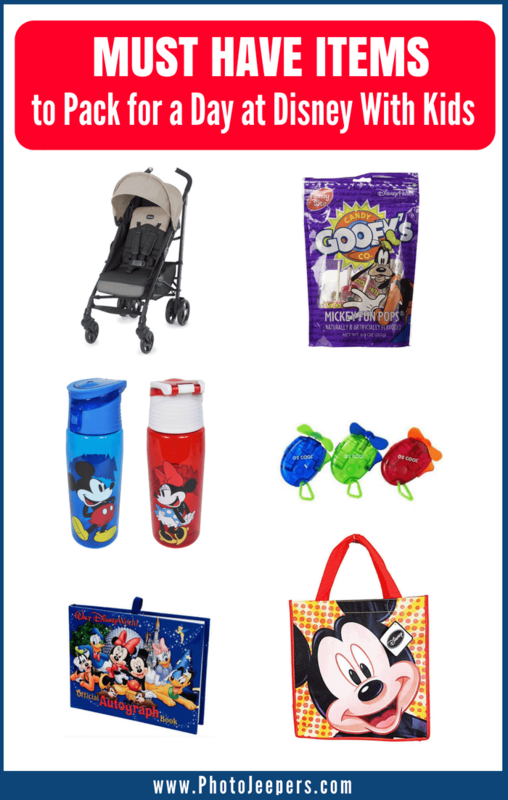 To allow you to leave your Disney Day Bag on the stroller, you’ll need a separate bag with your valuables. 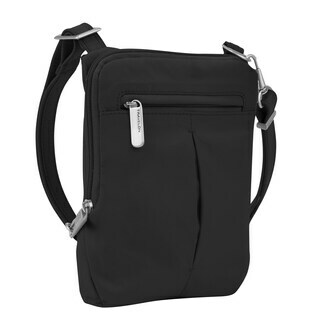 Use the separate bag for your wallet, keys, tickets, camera, phone, and anything else you need immediately handy. I use a small cross-body purse that has also room for an in-line snack chosen from the backpack, and some baby wipes, just in case. 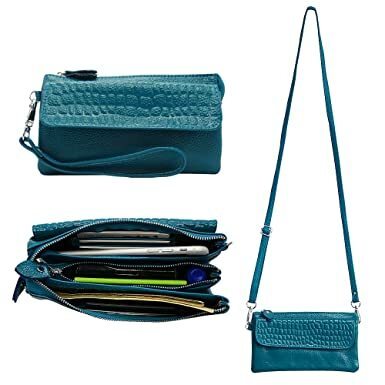 One of my friends uses a tiny cross-body cell phone purse just big enough for her cards, tickets, and phone. 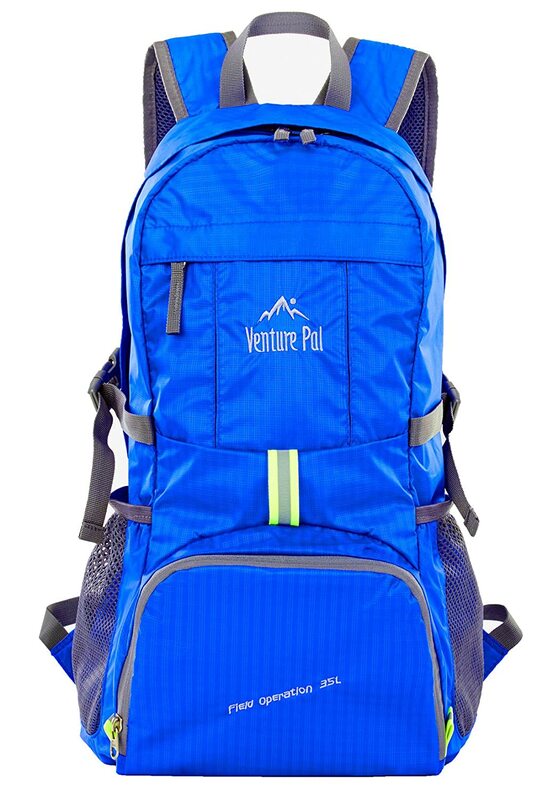 In addition to your backpack, you may want to pack cold items in a small insulated bag. Hard ice chests of any size are not allowed in Disney parks. I have several sizes – a bag that fits into a backpack, and a bigger tote if we are bringing lunch for the whole family. I like to use frozen Capri Sun as ice packs and let the kids drink them on the way home (or back to the room) to cool off. 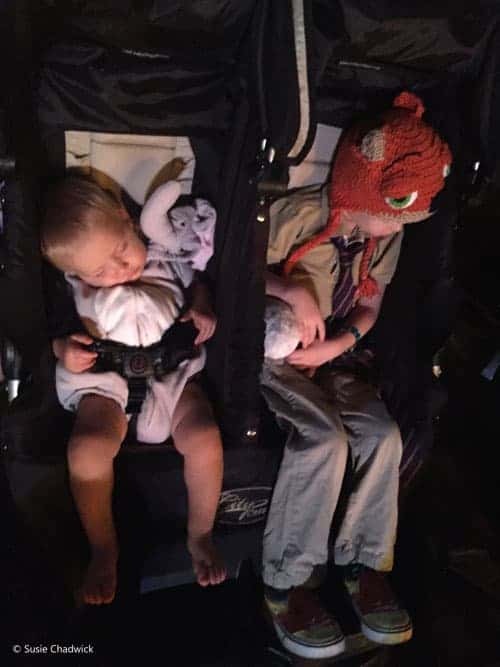 I have never had an issue with a stroller at Disneyland (out of hundreds of visits), but it does happen. If you’re worried about it, add a simple stroller lock to your Disney packing list to keep your stroller in place. 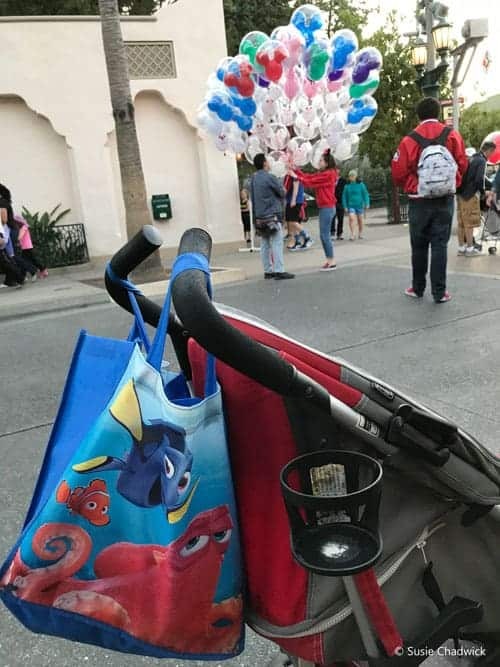 You may not lock your stroller to Disney property, but you can use a lock to secure the wheels, or your bag to the stroller, which may deter theft. Stroller hooks come in handy to hang bags or water bottles. 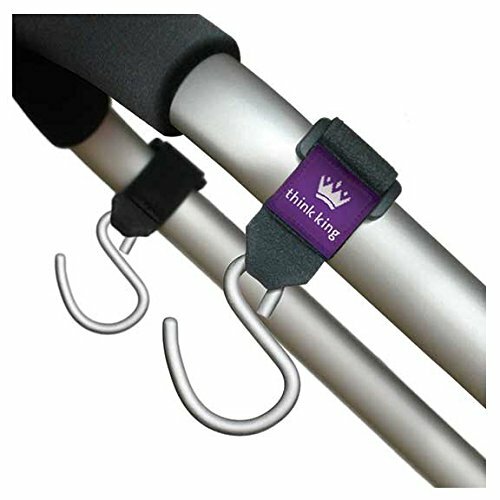 Use this type of hook if your stroller has two separate handles, or this carabiner type hook if your stroller has a bar handle. A blanket may seem like an odd packing list item for Disney, but it’s invaluable. You can use it for stroller shade, a nursing cover, to snuggle up tired kids at the end of the night, or to help save seats for parade. I usually bring an Aden and Anais muslin blanket for the first three uses, and a heavier fleece blanket if we plan to see a parade or outdoor show. 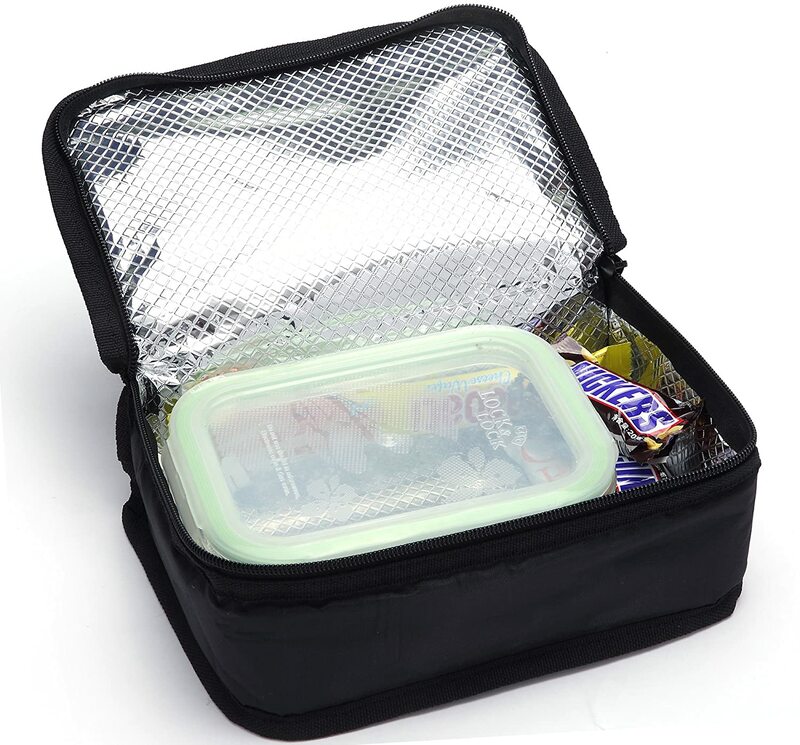 Pack your own favorite snacks in your backpack instead. Some of our favorites are baggies of pretzel sticks, containers of fresh vegetables or cut up fruit, fruit snacks, applesauce squeezes and bags of chips. I’ve found that waiting in line gives a container of vegetables a captive audience of hungry kids; it almost always gets all eaten. Bear with me here. Lollipops are a parent’s best friend at Disney. They’re easy to stash in your valuables bag and instantly quell tantrums, miraculously perk up tired legs, and keep kids holding out that last five minutes in line. 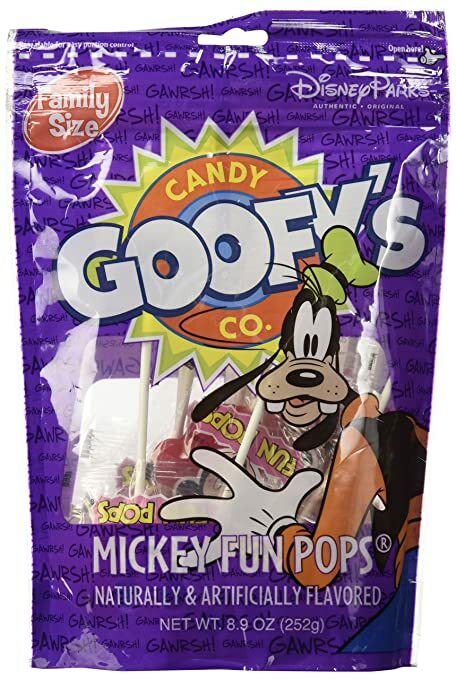 Buy some cheap Dum Dums lollipops or buy a bag of Goofy’s Candy Co Mickey pops to put in your Disney Day bag. The best place to purchase the Mickey pops at the park is at the Candy Palace on Main Street. They are a much better deal than the bunches of Mickey lollipops also sold there, or the enormous round lollipops. If you have a little one on baby food, bring your own. It is available for sale at the Disney parks’ Baby Care Centers, but it isn’t cheap and they may not have your preferred flavors. My 18 month old is still addicted to squeezes and I always pack plenty in my day bag for a trip to Disney. Don’t forget to hydrate! You can get free cups of ice water at any counter service restaurant in Disney parks. I suggest you add a reusable water bottle to your Disney packing list. You can fill them from any drinking fountain, or from refill stations around the park. When most people think of visiting a Disney park, they think of sunny skies. I see a lot of sunburns around Disneyland. Don’t make your vacation uncomfortable by being one of those people. 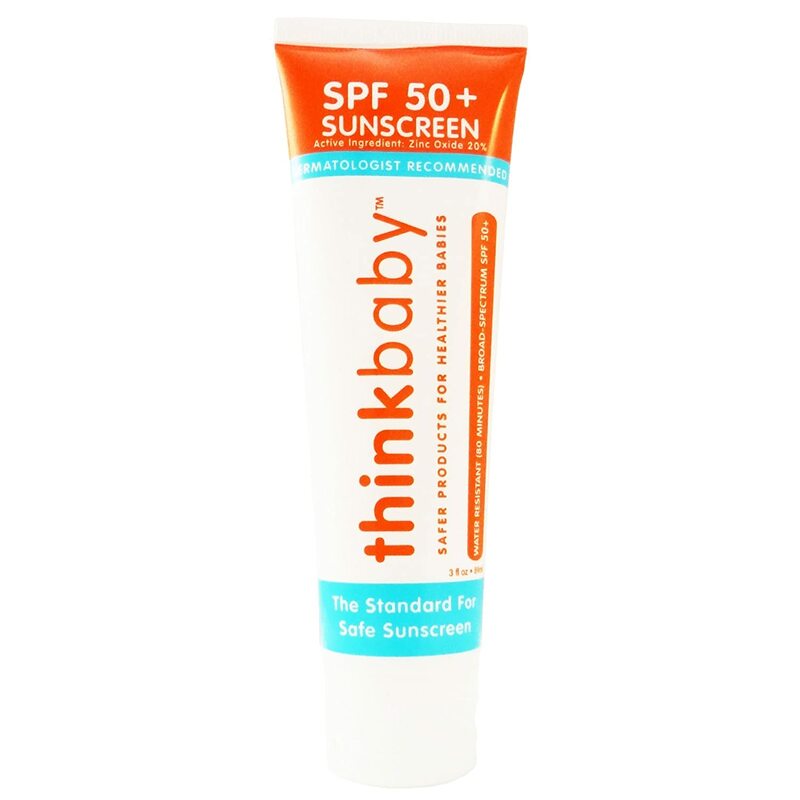 Add sunscreen to your Disney Packing List….and use it! Whether your hat has Mickey ears on it, or not, you’ll appreciate having the sun out of your eyes. But even more so, project your kids’ faces and eyes from the Southern California or Florida sun. Purchase a Disney hat before you go, or wait to get one at the park. A hat makes a great – and useful – souvenir. If your Disney trip is during a time when it’s hot, you’ll be happy you packed a mini fan with a water mister. 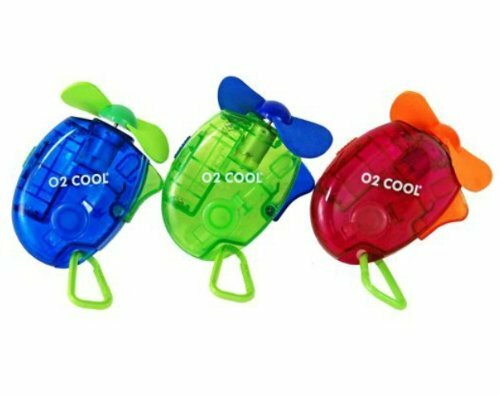 We bought these for our first trip to Disney World, and they were lifesavers. Not only does a mini fan cool you off, they also entertain the kids! 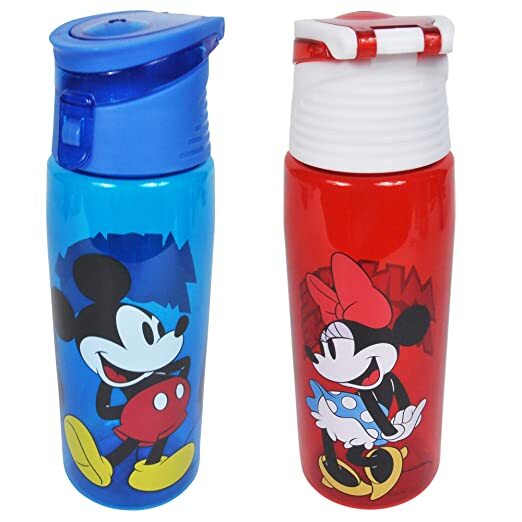 I definitely recommend adding a mini fan with water mister to your Disney Packing List. On the flip side of the weather, eventually the sun will go down and even in the summer, it cools off. Add sweatshirts and jackets to your Disney Packing List. Have one for everyone stashed in the bottom of the stroller. Disney Outfits for the family are a fun way to capture the vacation. Our friends at Maune Legacy have compiled outfit ideas that include comfortable clothing items and shoes in full Disney style! Or Seven. 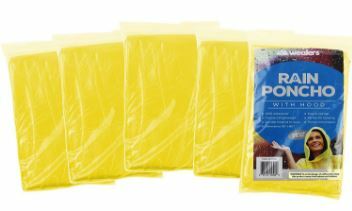 If there’s a chance of rain during your Disney vacation, stock up on inexpensive plastic rain ponchos. You’ll want these for yourself, your kids, your backpack, your stroller, the legs of the kid in the stroller… you get the idea. January and February at Disneyland, and June-September at Disney World are the rainiest times. Even if it’s not rainy weather, you may want to stash a couple ponchos in your backpack to use on water rides. A rain poncho is one of those items you will be happy you added to your Disney Packing List. As with baby food, the Disney Baby Care Centers do sell diapers, but they’ll cost you. Pack plenty of diapers and wipes and stash the extras at the bottom of the stroller. You’ll need baby wipes not just for diaper changes, but for wiping off churro fingers and Dole Whip faces. 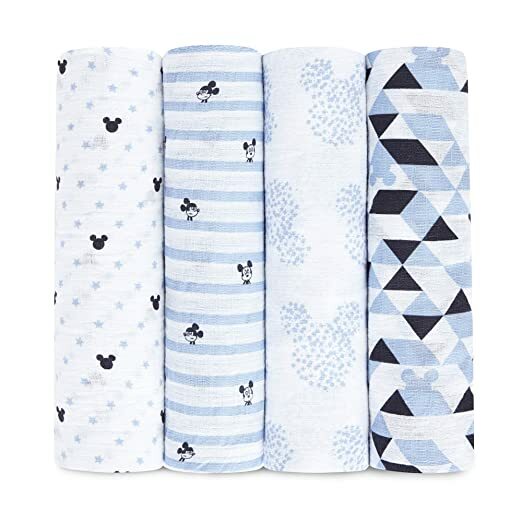 Diapers and wipes are a essential Disney Packing List items! If you intend to play in any of the Disney splash play areas, pack a change of clothes for after. Add a pair of flipflops to your Disney Packing List. Shoes are required in the splash play areas. Magic Kingdom has a Casey Jr. play area and Disney California has one in A Bug’s Land, but there are others. 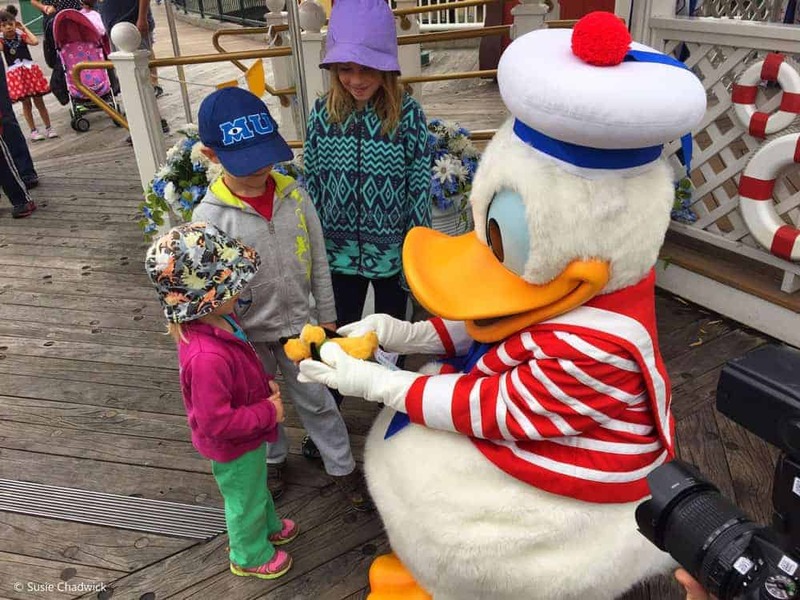 Depending on the ages of your kids, an all day Disney trip may require a change of clothes any way – because of accidents, food spills, water rides, and more. 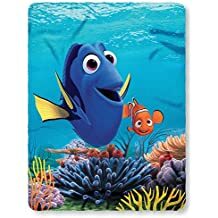 If you want to collect character autographs with your kids, consider ordering an autograph book before your trip. 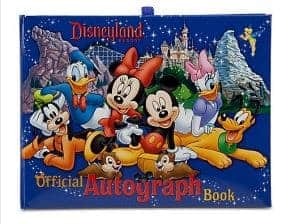 Adding the autograph book to your Disney Packing List is a great way to save money. VALUABLE TIP: Pack a fat marker for the characters to write with, and remove the cap for them. It’s hard to sign with paws. 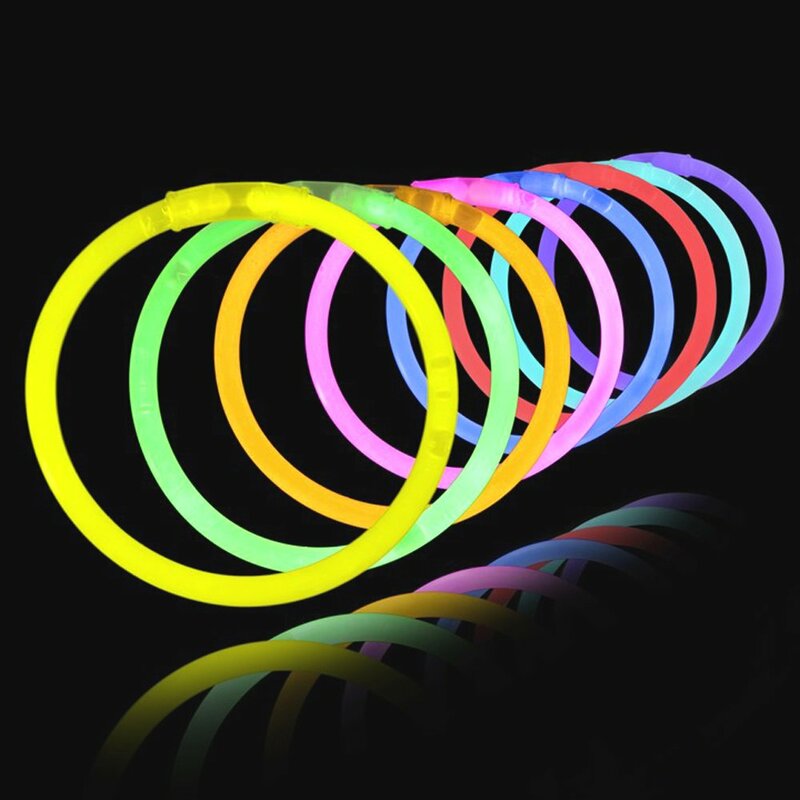 Add glow bracelets, wands and other glow items to your Disney Packing List. You’ll save $10+ over buying these items at the Disney parks. 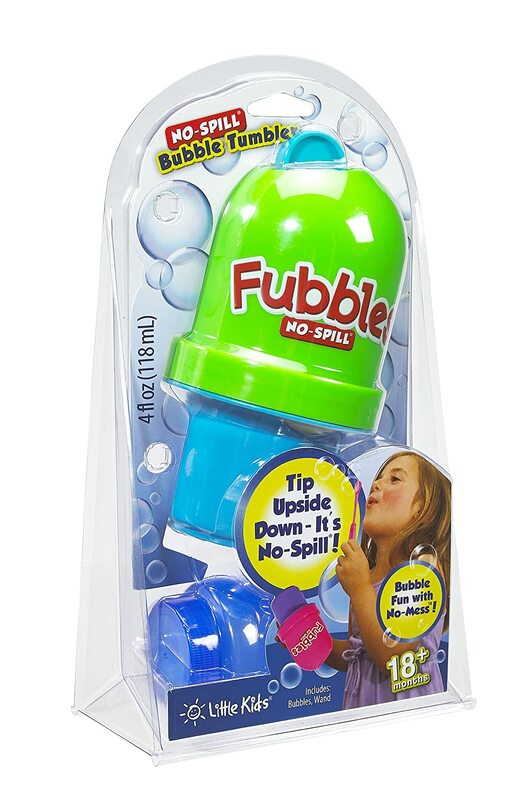 If you can hide these from your kids until time to use them, you get parenting bonus points. Besides autograph books and glow sticks, you may wish to purchase other souvenirs outside the parks to surprise your kids. 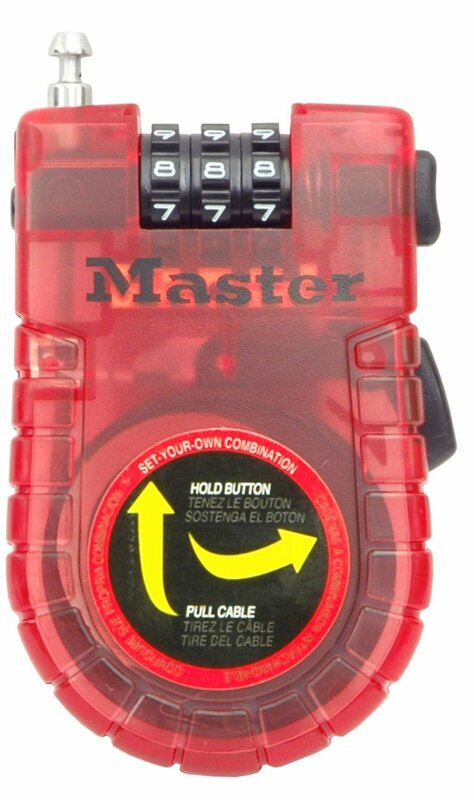 This will save you both time and money inside the park. Of course shopping in the park can be part of the Disney experience. But consider items like water bottles, jewelry, or hats that could be used during your Disney trip. 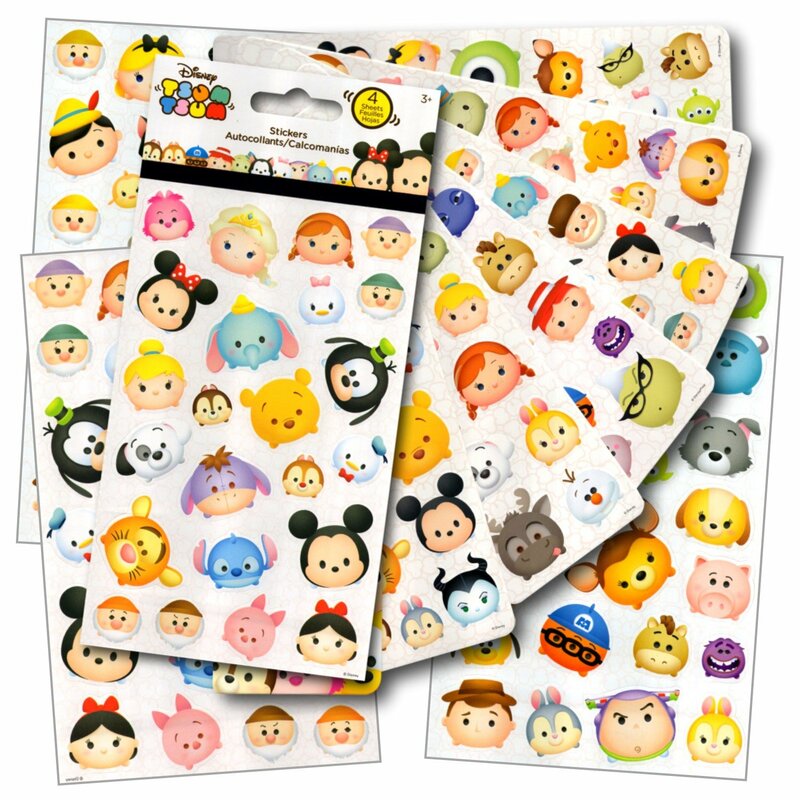 As long as you’re shopping for Disney items before your trip, look for things like small sticker books and no-spill bubbles to keep kids entertained while waiting for parades or in lines. It’s amazing what a small jar of bubbles will do for your children’s spirits, and everyone nearby. Add those items to your Disney Packing List that cover the basics so you can relax and have fun knowing you haven’t forgotten anything. Learn about the Disney MaxPass to select FastPass times right from your smartphone! Even more packing list advice by 38 Disney Experts – READ HERE. The Quirky Globetrotter has tips to avoid these mistakes at Walt Disney World! Read the review about the Howard Johnson by Wyndham in Anaheim, CA. 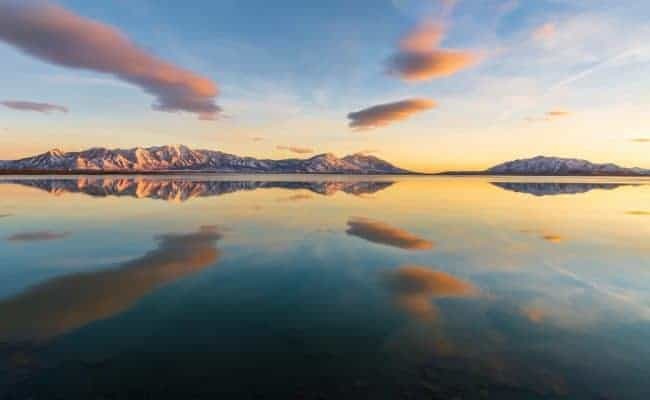 Enchanted Serendipity shares this review in their article about Best Value Accommodations in the US. We like to rent accommodations that have a kitchen. Cooking our meals saves us quite a bit of money compared to eating out, and it’s much healthier! Get Away Today – Nobody knows Disneyland better! Click the link to get an extra $10 off any 2-night or longer Southern California package. We hope you enjoy your Disney trip! Thank you for letting us know the tips and packing list were helpful in your planning. Thanks “SUSIE CHADWICK” for your most informative recommended packing list for Disney tour. Definitely, this post will be very helpful for those parents who want to make a tour with their adorable kids. I think you can also add comfortable shoes, Emergency medicine, and sunglasses. I don’t have kids, but my sister just had triplets and their grandma has a slight obsession with disneyland. 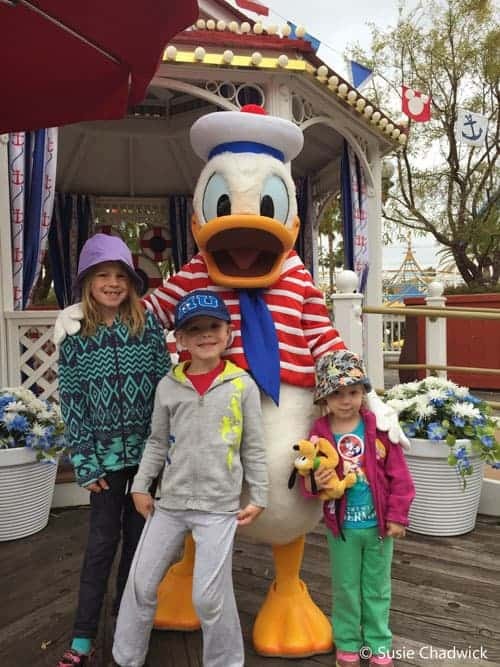 These are great tips for kids of all ages I feel like, I can’t wait to take the triplets to disneyland and see their cute little faces light up when they see Mickey & Minnie Mouse. I love Disney Land and your packing list is so exhaustive and useful for parents traveling with kids. I don’t have kids but I am gonna share this with my mommy-daddy friends who would love it. 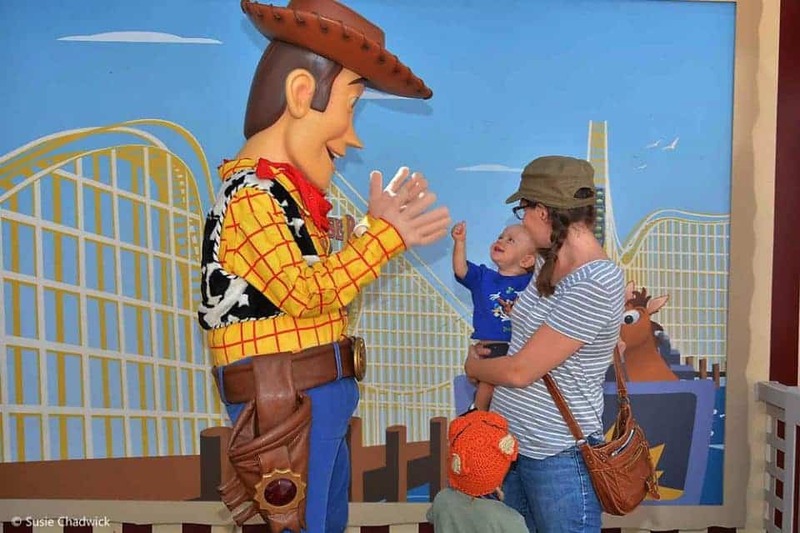 There are some good tips for visiting Disney on a budget, I remember visiting with my 3 year old in Florida and the stroller rentals were expensive. I didn’t mind carrying her when she wanted or when she took a nap, it makes for a great workout. Good tip about the ponchos because you get caught in the rain in the park they cost 10 times more! Your boy loved meeting Woody, was that in Hollywood Studios? Every child (and adults) dream come true!! Disney World just never ceases to amaze one when being there, offering so many fun activities that allows you to travel back in time to ones childhood! All very good items you provided as to what to bring when going. Without these essential items, one will pay very overly overpriced items when being there. Glad you and your kids got to enjoy the home of all things Disney! Thanks for this list. No more worries when visiting Disneyland with the kids. What a great packing list. I have been so many times as well, rain and sun, and as an adult it can be tiring and trying to remember everything is hard. But I can’t imagine how much more challenging it must be doing it with small children. Props to you mama for making everyone’s experience so wonderful! Sending this to my mummy friends because it’s super useful. I think this is perfect for relieving a lot of stress and anxiety from the whole Disney experience. You’ve got it sorted!! Great list. I don’t have kids but would definitely use this if I did. Disney is already expensive so saving money anywhere you can helps, especially with kids. I use to live in Orlando so I miss going to Disney! We’ve been going since before we had kids, and still occasionally make it there without them. I totally packed snacks for myself last time I went with my husband! Very helpful tips on what to carry for Disney Park. According to me this list is must in all theme parks as all these parks are in outdoor setting, covering large areas. Lollies and small snacks are really must as inside sometimes there are huge Q’s on food stalls too. Rain ponchos are must in rainy and snowy weather. The lines for buying snacks in the afternoon are crazy! Definitely saves time to bring your own. I am not a mom but I thought it was pretty useful for my friend and her kids. She is visiting Disneyland next month and I am gonna share this article with her. I could have never thought about packing Autograph Book and Fat Sharpie. She can get an autograph book cheaper beforehand, for sure. Thanks for sharing my article with your friend! I love Disney and this is a great list. I think taking snacks is a must, the food isn’t cheap. I would definitely add a dry bag to the list along with a poncho. My SLR drowned in my bag while I was queuing for a ride at Tokyo Disneysea – devastated! That’s a great idea! We keep our raincoats/ponchos in a plastic bag, and I use that to cover my backpack when we’re on water rides. As soon as I saw the first pic, my immediate question was about the Pouch Sling and wanted to ask about it! And there you go, you already answered that!!! The Disney Tote bag looks cute! That’s a very useful, awesome list!!! 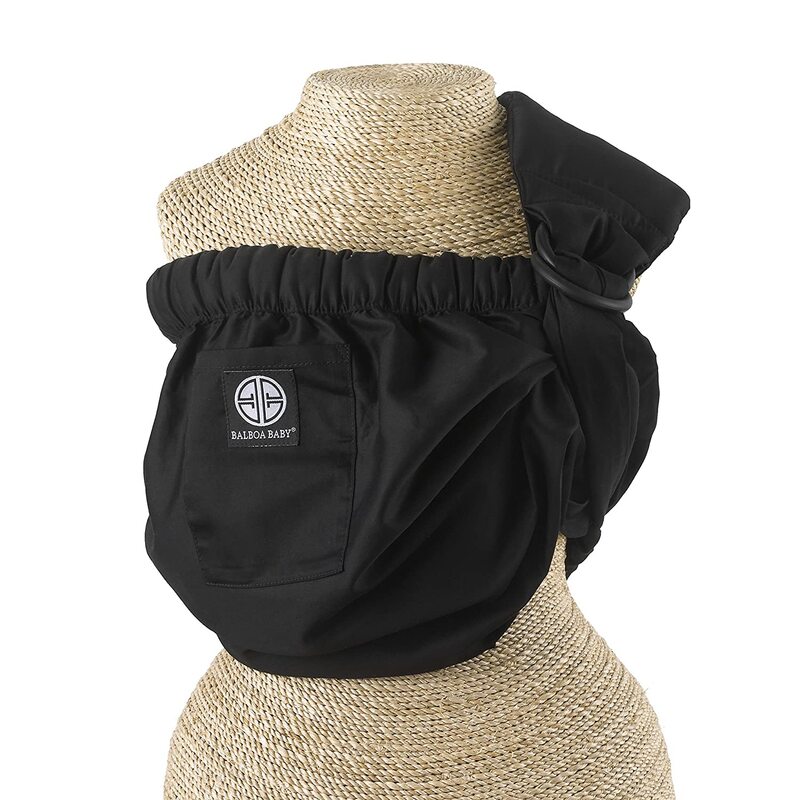 I am addicted to my pouch sling! 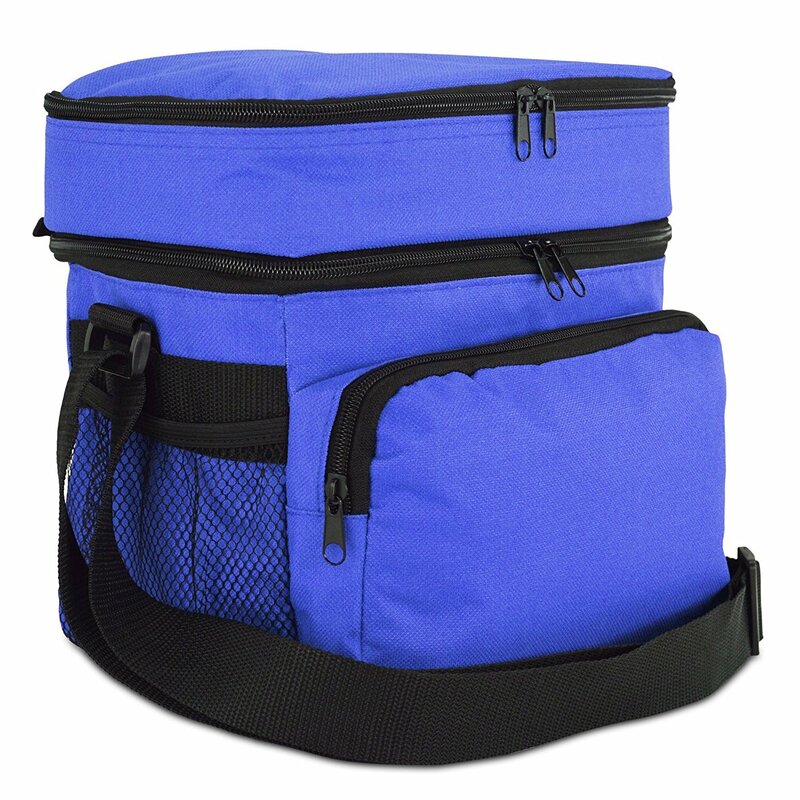 So easy to fold up in a bag, no buckles or ties, not bulky to wear when you’re not using it. Oh my gosh, YES! Bring entertainment! Even with a group of fellow adults, we got so bored waiting in line. The best thing ever are games you can play that involve everyone. Also snacks! So glad you touched on that too. It’s something a surprising amount of people forget! Games for adults to play in line is a great idea! Such a useful article! This will really help other families avoid the stress of taking too much\too little with them. It can be stressful experience and your article will really help! It can be stressful, but you don’t have to worry if you’re prepared! We probably wouldn’t have packed ponchos for Disneyland Paris, but we had come from London. It rained the whole time we were at Disney, and no other time during our trip! That is such a thoughtful post especially since you experienced and could bring out the important stuffs. Strollers are indeed a big help as you can dump the back pack in them when free. 🙂 The souvenir list too is good. I love not having to carry thon backpack around, especially since I’m usually carrying a child! It’s a bummer about the bubble guns. We go to Disneyland so often that we finally invested in one of the bubble wands they sell now instead of the guns. It entertains everyone in line! 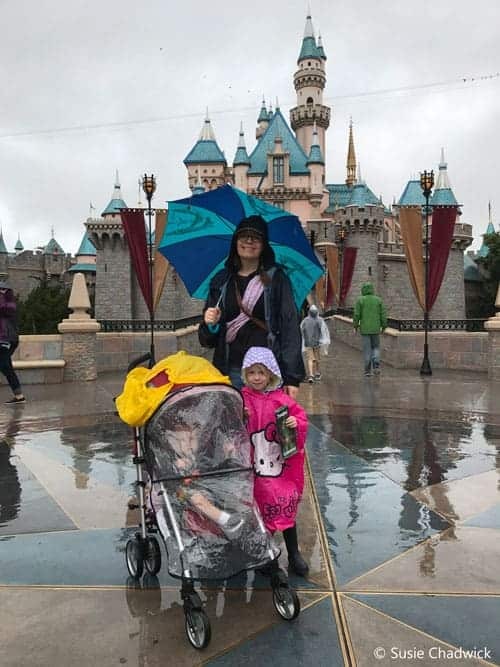 I don’t have children but I can see why all the items on your list are important, to keep everyone happy and enjoy the visit to Disneyland without any dramas. I think bringing lollies is a great idea to distract a child from a tantrum. Having snacks is also great, I have heard the food inside the parks is very expensive. Outside snacks can save you a lot of money. I think most of the quick service meals are pretty reasonably priced, but he snacks are all $4-6. Too much for all day snacking!